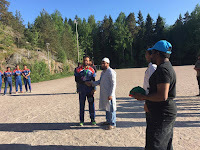 Home » FCA LEAGUE , FINLAND CRICKET , Finland Hard Tennis Ball Cricket , Slider , T20 » Muscleman Sanju hammers CSK, hits the fastest century. Gopal & Sanju drives Deurali CC maiden victory against Chennai Super Kings. Muscleman Sanju hammers CSK, hits the fastest century. Gopal & Sanju drives Deurali CC maiden victory against Chennai Super Kings. 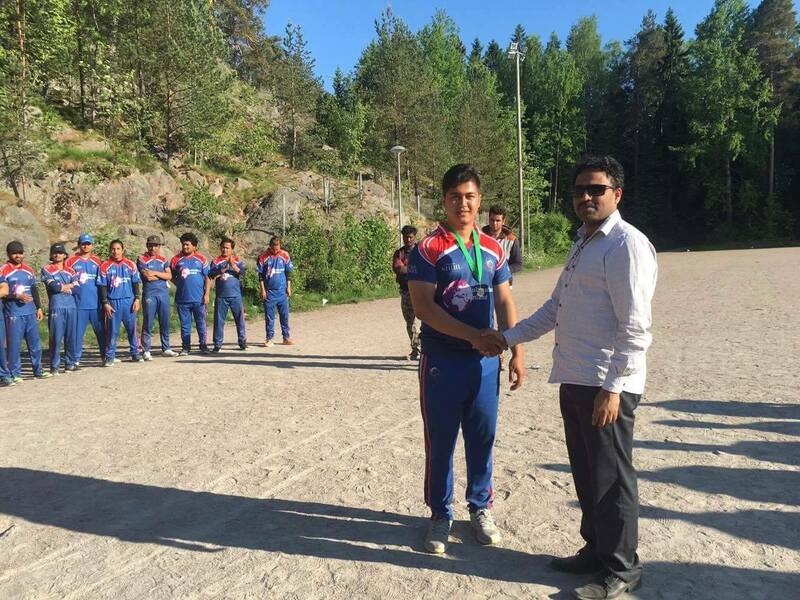 Sanju Shrestha, Man of The Match Deurali CC. Sanju Shrestha, a Nepalese born, from #Deurali CC smashes the fastest century in the history of cricket. It took him just 29 deliveries to celebrate his maiden century. Sanju smashed 15 sixes and 3 boundary’s in his innings of 115 from 33 balls. 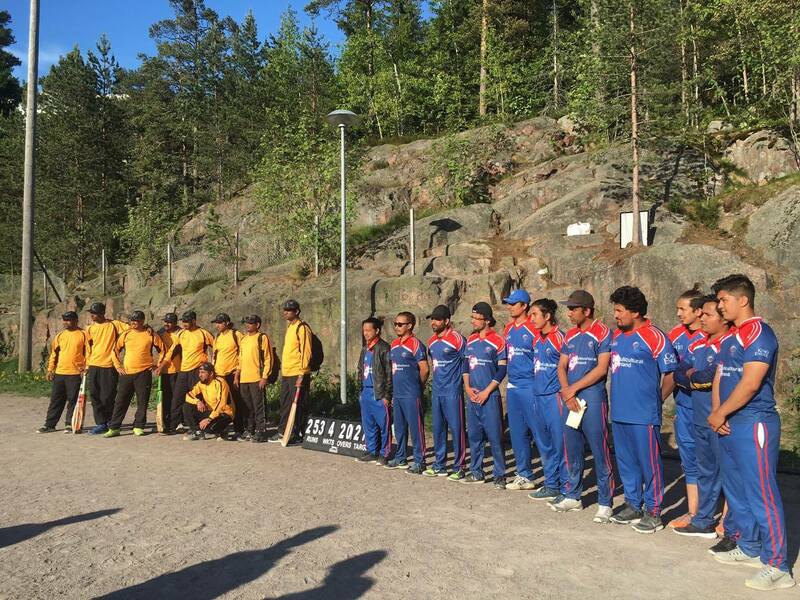 A Nepalese origin cricket club #Deurali CC is participating for the first time in FinCric SummerT20 (Hard Tennis Ball), league in Finland, organized by Indian origin community. 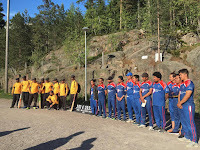 10 teams are participating in the tournament. 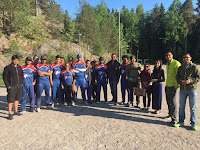 Gopal and Sanju’s blistering innings helped Deurali CC beat Chennai Super Kings(CSK) by 18 runs. CSk won the toss and opted to bowl in a batting friendly pitch. Gopal dominated CSK bowlers from the start, 50 runs partnership in 7 overs by Deurali openers paved the way for Sanju’s charismatic innings. 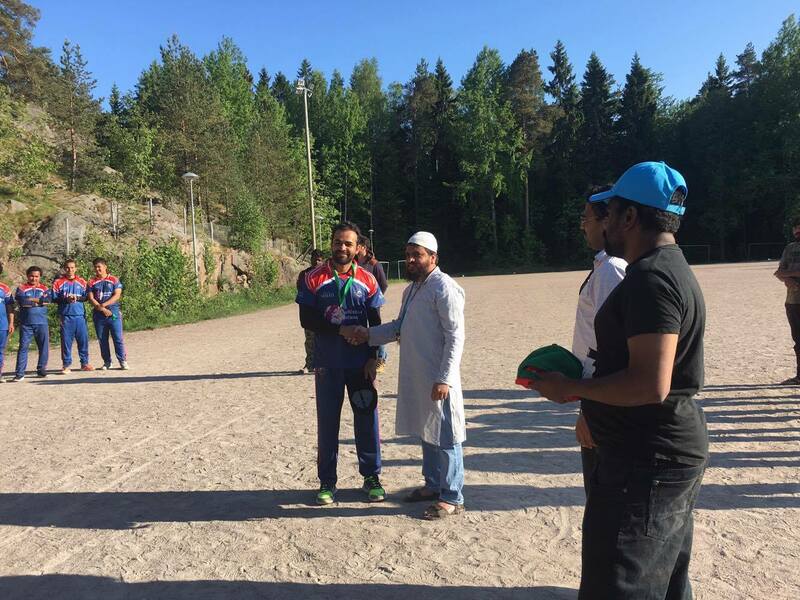 Gopal and Sanju together build the highest total for 3rd wicket partnership in Finland. The duo scored 149 runs in just 7.5 overs. Deurali CC sets a total of 271/6 in 20 overs. Gopal played a crucial innings in Deurali's huge total. Gopal deliberately rotated strike to Sanju when he was hitting hard. After Sanju's dismissal, Gopal continued to retain the boom-boom momentum with his fearless shot all over the ground. Gopal stayed strong and played sensibly from one end , he got out on the 20th over. Gopal finished with 77 from 54 deliveries. Manikandan from CSK took 3 crucial wickets, while Sunil from CSK was the only economy bowler in single digit. Chennai Super Kings(CSK), equipped with the strongest batting side , flashes briskly hitting 50 runs in just 5 overs. CSK dominated Deurali bowlers vigorously. Nicky Kamal, CSK captain who also cap the Finnish National Cricket team displayed his sensational batting innings. His 109 runs from 47 balls were not just enough to chase a huge total of 271. Aniketh, CSK’s hard-hitter almost took the match away from Deurali CC. Ani’s blistering innings of 57 from 31 was sacked by Gopal in 15.2 overs with CSK 211/4, a big moment of relief for the Deuralians. Prasant , Deurali CC Captain, displayed a super bowling at the death over, CSK managed to score only 6 runs in the 18th over. The magic man Sanju shines with the bowl too. 25 needed of the last over with Nicky the blaster on strike. Nicky hammers Sanju’s first delivery up above in the sky for a six, 19 needed from 5 balls, Sanju strikes back with the ball and got Nicky caught up in 19.2 overs, the next 4 deliveries were dot balls. CSk scored 253/5 in 20 overs. Sanju was awarded Man of The Match for his all rounding performance. Click here for full fixture.